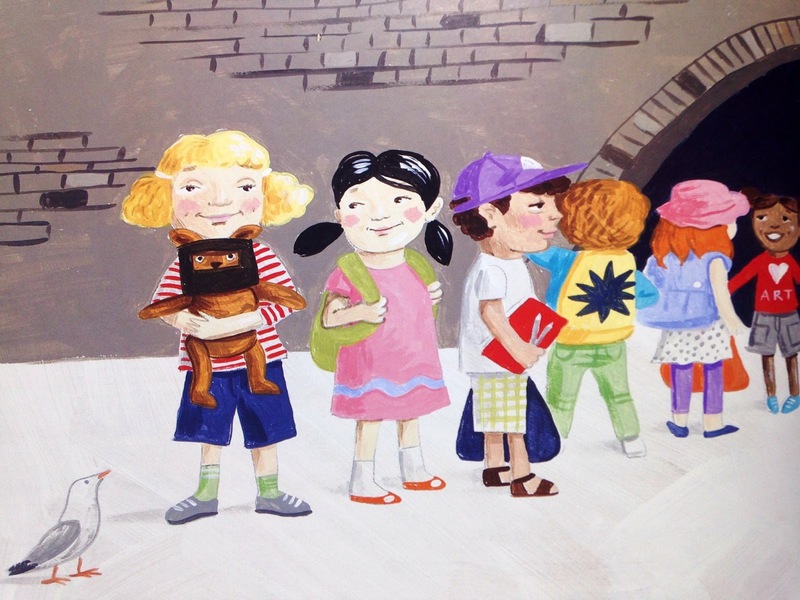 Yvonne Mes is a talented author and illustrator living in Australia. She is the first person to be featured on KidLit411 for a SECOND spotlight (check out her Illustrator Spotlight)! 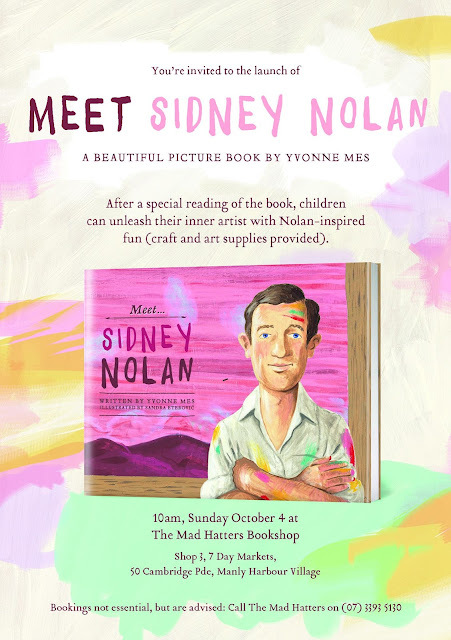 Her debut picture book, MEET SIDNEY NOLAN, illustrated by Sandra Eterovic, launching on October 4, and in AU stores now. 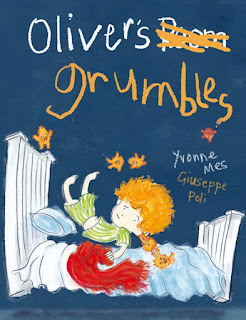 A second book, OLIVER'S GRUMBLES, illustrated by Giuseppe Poli, will be released this November. Congratulations, Yvonne! Be sure to enter the giveaway to win a copy of your choice of her books at the end of this interview! Welcome back to Kidlit411! You are the first person to be featured once as an illustrator and now as an author. What do you primarily identify yourself as? Or is it both? I am thrilled you are having me back here at the hub of all things kidlit! At the moment, author wins. 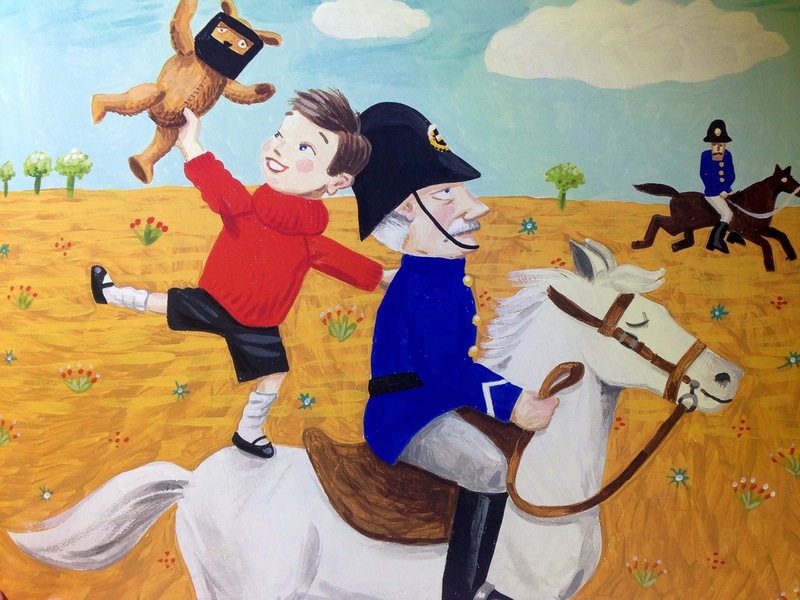 I love art and illustrating but as a busy mum of three boys, combining work with writing and coordinating Write Links, means that illustrating is missing out this year. But, as a fellow Penguin (from the Penguin Posse, my awesome critique group) said recently, getting two books published this year means I am achieving my goal to get published and sharing stories with young children, I’ll get back to illustrating as soon as possible. Tell us about your writing journey to this point. I think my story is quite conventional; my other career is in the early childhood profession and my favourite time of day is sharing a book with children, reading aloud, doing silly voices and getting children involved in story. I started writing for children specifically three years ago when my third child was born. Thinking from my middle child’s point of view and how his world was about to change, I came up with a story and submitted it to a contest. I was certain I was going to win, nevertheless it was an anxious wait and a major disappointment when I didn’t. Many writing contests and competitions later I am a lot more realistic! After I dried my tears and got over my tantrum (followed by hard-core sulking) I picked myself up and started on a journey (yes, gasp, a journey) to find out everything I could about writing for children. I started with an online Certificate in Professional Children’s Writing through the Australian College of Journalism/ Open Colleges. I joined Julie Hedlund’s 12x12 where I found other passionate children’s writers AND found my online critique group (yup, those Penguins again), I did workshops and short courses on writing and illustrating and joined every possible professional group from SCBWI to my state writers centre. Kidlit people are the best, most supportive people. You should meet my fellow writers and illustrators at Write Links in Brisbane, they are inspiring! Oh, and during all that, I learned to grow some thick skin and am proud to say I haven’t thrown a tantrum since! (though I may have sulked a little now and then). 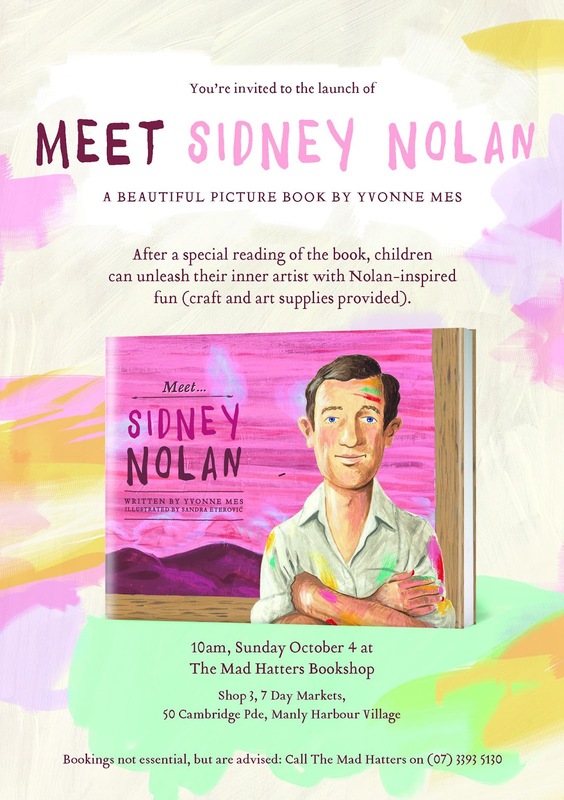 Tell us about MEET SIDNEY NOLAN, your debut PB. How did you come to write it? For the full story you can read the interview with Sylvia Liu (How I Landed My First Contract) but in short I submitted a non-fiction biography on another artist during a paid editor appointment at a SCBWI conference, they liked my writing, but didn’t think the artist was well know enough for this particular series, and asked me to submit a proposal to write a story on Sidney Nolan. Through my interest in art, I was already a fan of his work, but I didn’t know much about the man himself. I learned a lot about him in a short amount of time! Working with the Random House Australia team was a fabulous experience! It made me feel like a real writer, which is such an awful thing to say because, whether published or not, we all are real writers when we write. I loved the whole process of going back and forth with revisions and edits. Looking at the illustrations by Sandra Eterovic for the first time was an absolute thrill. You also have another PB coming out on the 8th of November, OLIVER'S GRUMBLES. Tell us about that story. A new publisher dedicated to children’s books in Brisbane where I live, Dragon Tales Publishing, had just released some picture books and a great junior fiction novel which I happened to review for Buzz Words E-zine. I was really impressed with the quality of the books and when they opened for submission I sent them OLIVER, et voila! I am so lucky to have two such different picture books coming out. OLIVER'S GRUMBLES is pure fun and total fiction. It was one of my earlier picture book stories inspired by my, at times, grumpy children, or perhaps, me being grumpy, at times, with my children. It was a chicken and egg kind of thing. Oliver is a happy little boy, until one day he wakes up with Grumbles in his head... and Grumbles in his bed! The Grumbles dance on Oliver’s chest, tug at his ears and cause all sorts of trouble for him, but when they run away with his snuggle blanket Oliver needs to act! You are in a critique group with many American writers. Based on your observations and experience, is there a difference between writing and publishing in Australia and in the U.S.? It took me a while to figure out a few things. English, not being my first language, it took me a while to realise Australians use UK English as opposed to American English. Mom vs Mum, color vs colour etc. But the main difference is that in Australia you CAN get published with a major publisher without an agent. However you DO need to put in as much work as you put in when trying to find an agent in the USA. There are a few Australian writers with agents, but it is not a necessity and you have just as much a part in finding a publisher as your agent, or more. Australia is much smaller compared to the USA so, perhaps, it is easier to get an idea of the industry here in Australia, but you certainly need to work for it! I think the trends on word count, creating more diversity in children’s books, how to write engaging characters, plot etc. are very similar across the continents. What has been the most surprising thing you've learned about publishing? That it takes forever! And I have been lucky in getting two contracts in one year and both released the year after signing, that is really fast! There is so much more to being published then your realize when you first start and you really need to be passionate and dedicated in order to want to keep going and still enjoy it. Perhaps that is why children’s writers and illustrators are such an awesome group of people. 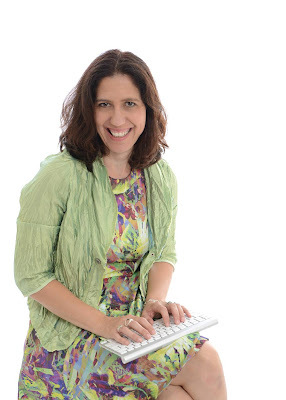 I love writing for children, and the networking in person and online. Read what you want to write. Deconstruct what you have read. Type out those picture books you admire. Learn about the craft of writing. Learn about editing. Learn about illustrating. Learn poetry. Seek out people who write what you write. Pay for editor or agent pitches if you can afford it. You will receive targeted feedback to inprove your manuscript and current information on what they are looking for, if you are lucky they may like it so much that it may lead to some sort of collaboration or publication. What is one funny thing that happened to you or has made you laugh recently? Hmm, this morning my littlest boy said: ‘I don’t want to stay home with the farty one,’ (he was talking about his Dad). It cracked me up as I may have called him that half an hour earlier. Yvonne Mes is a children’s author, illustrator and devourer of books. She writes short stories, picture books and junior novels. 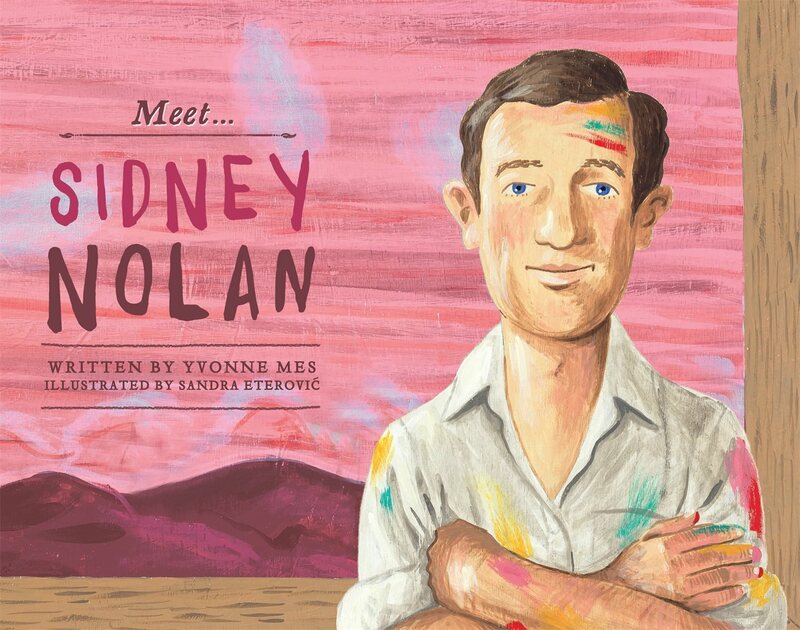 Her first picture book, Meet Sidney Nolan, will be published by Random House Australia in October 2015. Her stories are published in the School Magazine, on the Kids Book Review website and as part of anthologies. Yvonne coordinates Write Links, the Brisbane children's writers and illustrators group and is vice president of Book Links QLD (Inc.) she reviews for Buzz Words Magazine and occasionally for the CBCA QLD newsletter and is a contributor to www.kidlit411.com. Yvonne has two decades experience working with children of all ages, abilities, many cultures and in various settings. She has a Bachelor of Children's Services, a Certificate in Professional Children's Writing, a Cert IV in Visual Arts and Crafts and a Cert IV in Training and Assessment. She is a member of SCBWI, CBCA, Book Links and the ASA. Yvonne grew up in Amsterdam but has made her home in Australia. Her three sons make sure she is never lost for inspiration. Her mission: sneak a quiet cup of coffee. Result: cold coffee and noise. You can find her at her website, Picture a Book with Yvonne Mes, or on Twitter at @YvonneCMes. Thank you my awesome friend! Thank you and Sylvia for inviting me back to kidltit411. Joining our critique group is one of the best decisions I ever made! Fantastic story. So exciting to see Yvonne featured. Inspirational. Thank you, Shannon! Looking forward to reading your books soon! Enjoyed the interview...Look forward to Oliver Grumbles. So thrilled for you Yvonne - I have loved watching your journey as a writer!